October 16, 2016 / Kristen / Comments Off on Week 6 has arrived! Good morning Browns Backers! It’s a beautiful, crisp, fall morning—perfect football weather! It’s time now to make your way to your favorite viewing site and root for our team. Let’s keep that positive Tribe energy flowing! Time for the Browns to finally win one! Coming soon: News about the 2016 Fan-tabulous charity raffle. We’ve got some great prizes again this year! LET’S GO BROWNS!! 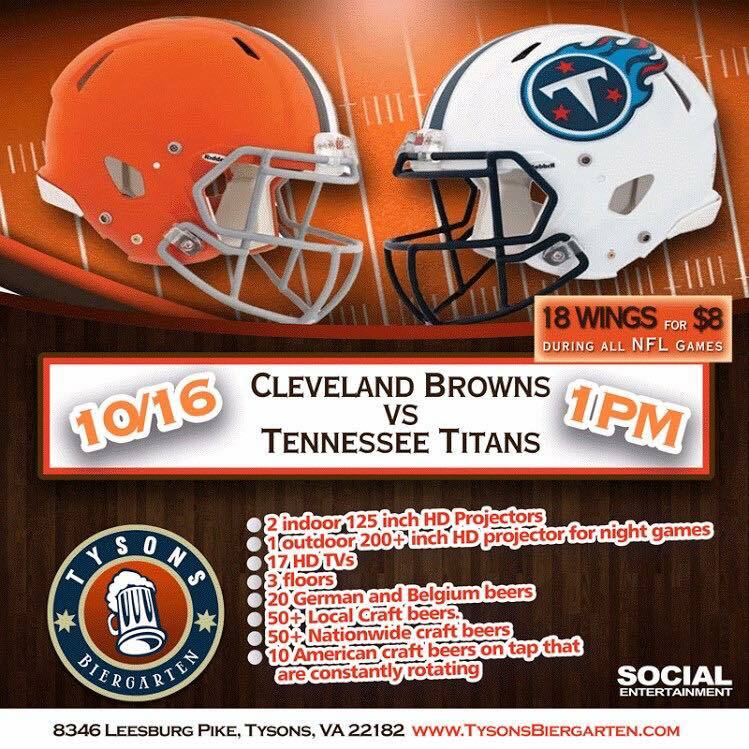 For fans headed out to Tysons Biergarten, check out their game day specials! World Series watch party tonight!